As the variety of IT equipment, infrastructure, and facilities equipment has increased, so has the number of data center management products. Over the years, an ideal goal was to have a management solution that would integrate IT equipment management and facility management—resulting in the centralized monitoring, management, and capacity planning of a data center's critical systems. This concept is referred to as data center infrastructure management (DCIM). Historically, IT and facilities have worked in separate silos. A DCIM solution can enable those groups to work together more closely to satisfy the needs of the business. Intel developed a data center management solution focused on power and thermal management, which is named Intel® Data Center Manager (Intel® DCM). This solution can be either integrated into a third-party DCIM console or used as a standalone tool. The three physical resources that have the biggest impact on data center costs are power, cooling, and floor space. With Intel DCM, Intel IT has successfully collaborated with Intel’s facility management teams to manage these costs. 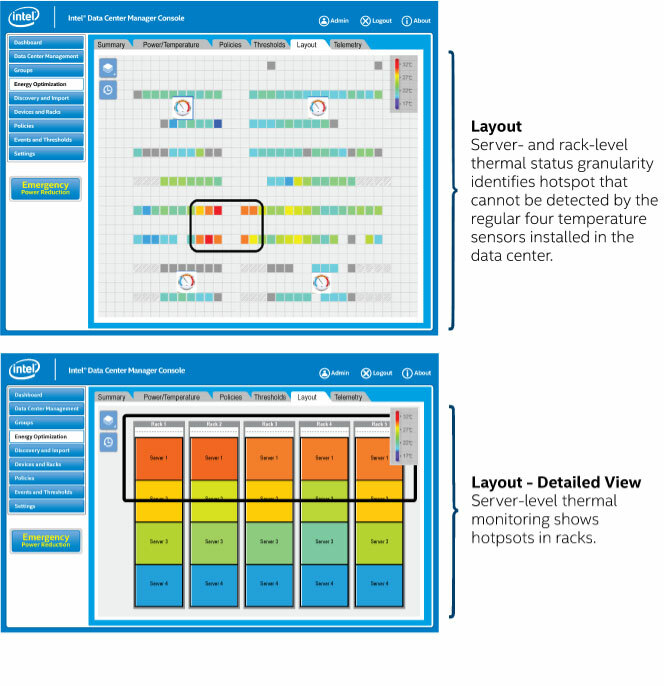 Here is a typical example of this new collaboration using Intel DCM: One day, an Intel data center operations manager received overheating alerts for several servers. The manager checked the Intel DCM console to locate the hot servers. The building’s facilities team had not seen anything abnormal on their monitors. The data center operation manager found that an air conditioning unit had been accidentally powered off (therefore, it did not trigger a facilities alert). The unit was turned on, and the hotspot was fixed. Without Intel DCM’s rack- and server-level granularity of thermal data, the servers might have shut down, resulting in costly downtime. In another instance, Intel DCM data in a data center revealed some hotspots. Facilities added another CRAC unit to increase the volume of cold air in the problematic area. Facilities also boosted airflow in the problem area by increasing the square-footage coverage of perforation tiles in the area from 22% to 50%. By using Intel DCM, Intel IT can now monitor IT equipment and coordinate changes with facility managers across the major systems. Intel DCM is increasing operational efficiency and productivity and reducing human error in our data centers. 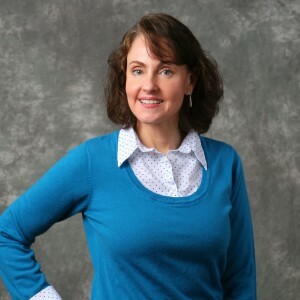 Data center management is an evolving and challenging field. I’d be interested in hearing what other IT professionals are doing to better manage their data centers and if you’re using Intel DCM. Please share your success stories and pain points. I encourage you to join the conversation by leaving a comment below. Technology is always changing. In recent years, it is changing at a faster pace. I have been fortunate to work in a company that is at the heart of technology. I enjoy working and learning on all parts and components of servers and data centers. At Intel, I am able to leverage my creativity by helping teams create new products. With IT@Intel, I am able to share my interest and knowledge of data centers and their infrastructure. My ‘night job’ is creating paintings that make people smile. My days and nights are both creatively wonderful. Previous article:Enterprise IT, the Pace of Business, Security and the Cloud – Losing Control?